The Grand Ovation Condos, built by Tridel is a 34 storey condominium located next to the Tridel Ovation 1 and 2 in the heart of Mississauga City Centre. The Celebration Square, Mississauga library, City Hall, YMCA and Living Arts Centre are located within metres from the Grand Ovation. The Tridel Grand Ovation Mississauga Condos feature a grand two-level lobby with an attentive 24-hour concierge and Grand Ovation Club, the finest recreational facilities. The Grand Ovation's Club is one of the finest recreation facilities created by Tridel Dorsay. In order to achieve a complete experience, the Grand Ovation Club maintains a balance between exercise and interaction. It offers an aquatic centre, grand sky-lit indoor swimming pool, soothing whirlpool and Scandinavian cedar saunas, exercise and aerobics centre, billiards lounge, cards room, mini-golf centre, private theatre, and a sophisticated party room. Grand Park Condos are next to Ultra Ovation Condos and back onto Monarchy Condos. Ovation condos are on the east side of Grand Ovation condos. Grand Ovation condos in Square One at 310 Burnhamthorpe Rd W is one of the very few condo buildings to permit short term condo rental. 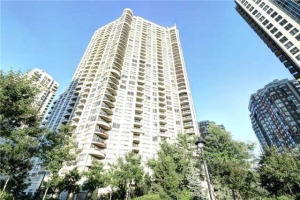 This puts Grand Ovation condos on top of the list for short term furnished condo renting business in Sqare One, Mississauga. Grand Ovation residents have a good demographic mix plus there many families with children who live in this building. 310 Burnhamthopre Rd W is a well maintained modern condo building. It is always in high demand from buyers, investors and renters. Team Kalia has helped many residents with buying, selling or renting their homes and condos in Mississauga's Square One area since 2003. Call us if you are thinking of buying, selling, investing or renting a Grand Ovation Condo in the Square One area. Team Kalia is sure to bring you great value. Local Experience always Pays!